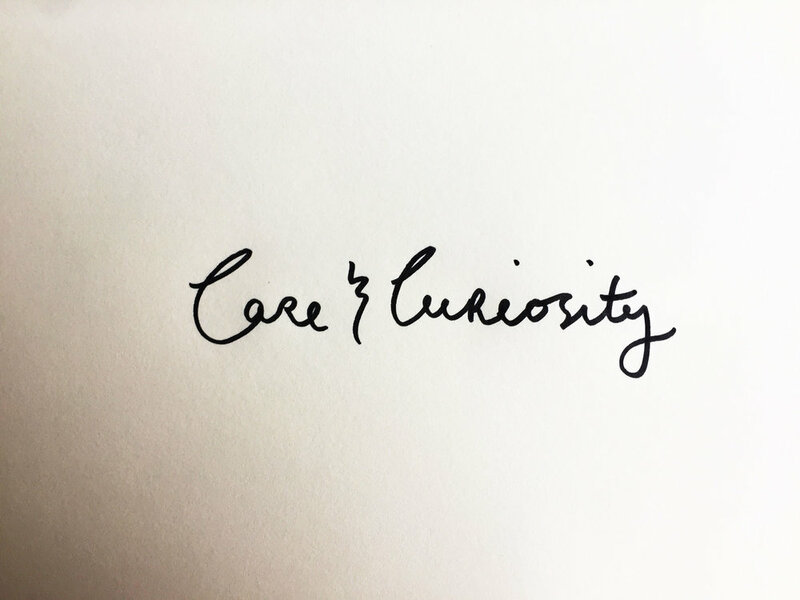 Care and curiosity. Drawing Luke Hockley. My love of sewing has gone away. It hasn’t gone away, it’s hiding. Every time I touch my shirt I seem to not have the knack that I usually have. The fabric doesn’t fold right, it doesn't fit together the way I’d like it to. Where is my gift for this kind of thing hiding? I think what is missing is my care and curiosity. I have a sense of trying to finish the thing, rather than the joy in doing each small task. I also think I have started judging the results as imperfect (and therefore not good enough) where I used to see the imperfection as the perfection (this thing is hand made after all!). Finding these qualities in myself again is important right now. Sure, they will help me make the shirt, but they valuable for are much more than that. These qualities of paying attention and deriving joy from the moment, of loving the imperfection of the things that I create, these qualities protect me from my inner noise that can often undo me. I could do with a little more kindness right now. Newer PostHow I get ready.